As an adult I’m like “whatevs” about Valentine’s Day, but when I was a kid I loved it. It was so much fun to give and get Valentine’s Day cards at school. Sooo much fun! Now that I’m a mother, I notice that my daughters really enjoy the experience, too. 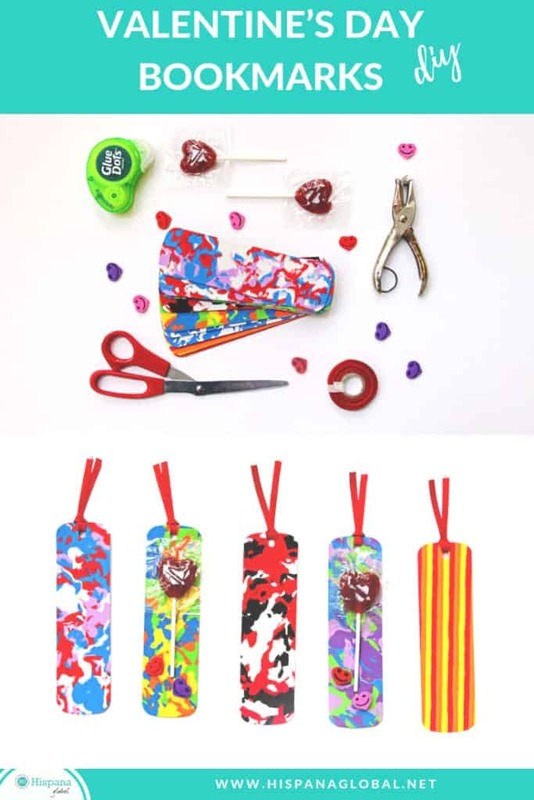 Usually we go for store-bought cards, but this year we are giving out DIY Valentine’s Day bookmarks with heart erasers and lollipops because useful, cute and yummy mean I HEART YOU. Check out how we made them! It’a a fun activity for kids. 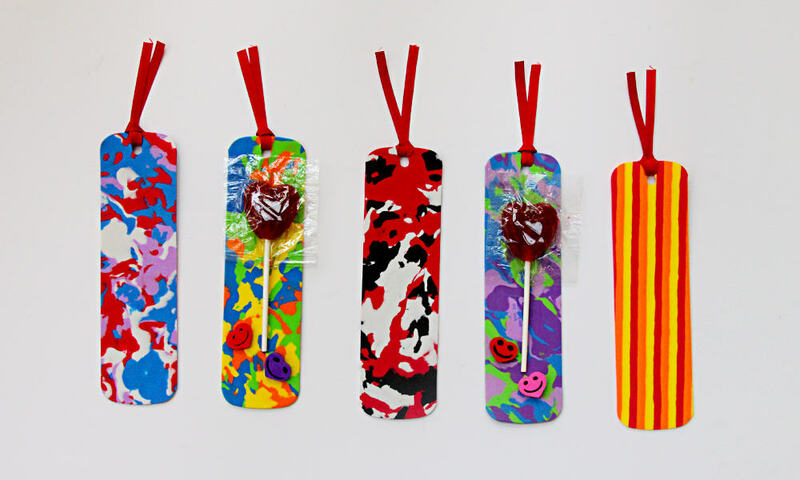 If you buy pre-cut foam bookmarks like I did, you could leave them as is and simply use the removable glue dots to attach the lollipop and a couple of heart-shaped erasers. 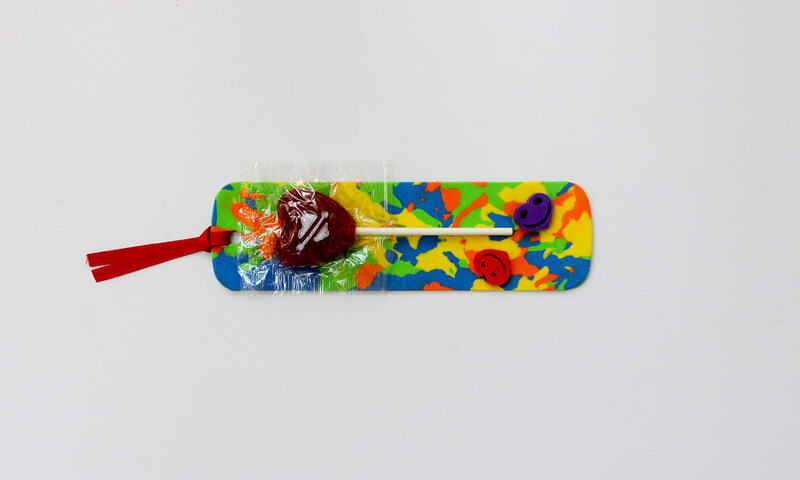 You are using removable glue dots because you want the children to be able to remove the lollipop and erasers without damaging the bookmark. If you want to be a little bit fancier, you can use a hole punch to punch a hole on the top center of one side of the foam bookmark and then loop a piece of grosgrain ribbon that you’ve cut through it to give it a little tassel on top. If you want to be super super fancy, you could have your child decorate the bookmark with colored sharpie markers or punch out a design in it. Use your imagination and have fun. 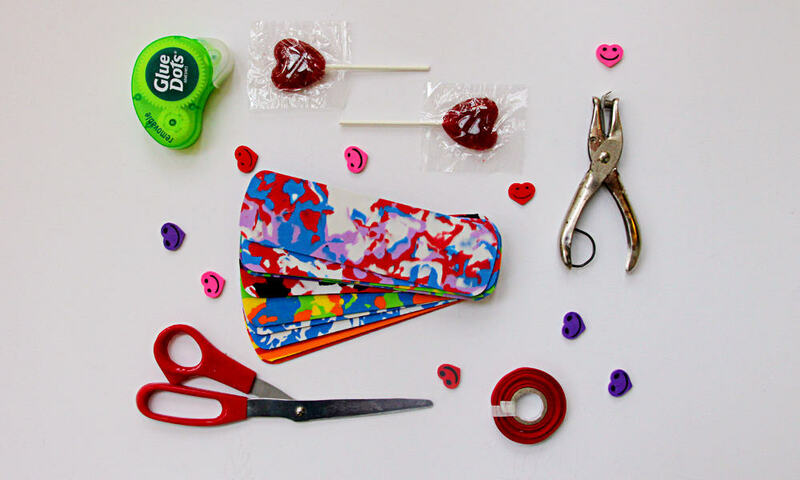 I love this Valentine’s Day craft because even when the holiday is over the children get a bookmark and erasers to keep and use. What do you think?